Web Apps on Linux (preview) allows running web apps natively on Linux. WordPress is popular blogging platform primarily used on Linux distributions. 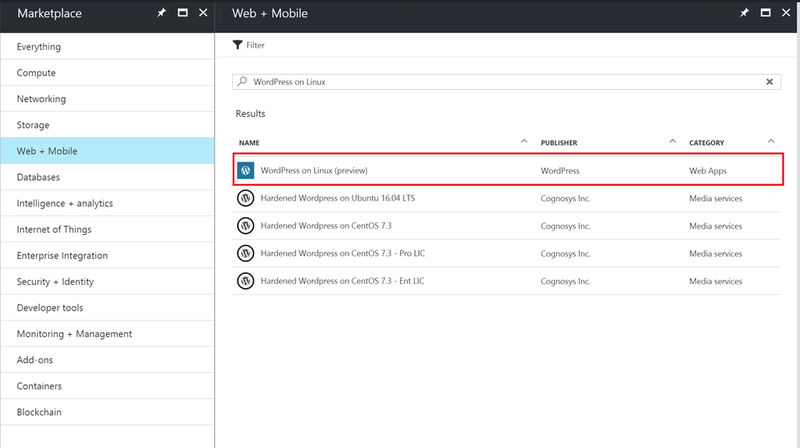 Today we have released WordPress for App Service on Linux in the Azure Marketplace to help you quickly create a WordPress application on Web Apps (Linux). 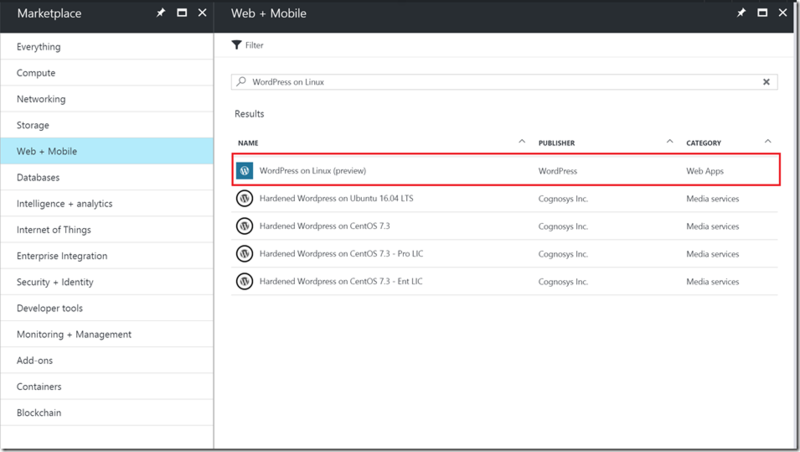 Azure App Service on Linux lets you bring your own custom image, and this template leverages the same for using a custom Docker image for WordPress publicly available on Docker Hub. Read more about the support for WordPress on Linux.